Happy Holiday season! Laura will have sporadic email access and no phone between December 26-January 10. Thanks for your patience during that time and if you have any inquiries before then, please give us a call or email. This month’s Friday Kitchen Concert volunteer is Ali Holder. Thanks for bringing your songs to the diners at Caritas, we are looking forward to it! We are looking for volunteers for a video project – if this is a gift of yours and you’d like to learn more, please email laura at comboplatebooking dot com. You can now subscribe to our monthly newsletter on our facebook page, click here to subscribe – and thank you! We have been fortunate to meet several talented artists at Austin’s monthly WIMPS (Women In Music Professions Society) – and many of them have volunteered at our monthly series at Caritas. This month’s Friday Kitchen Concert volunteer is Kathy Murray whom we met at WIMPS – and we know the clients are going to love her blues songwriter songs. Thanks for volunteering Kathy! Happy Autumn. Laura will be off the map – no phone, no email – October 3-8. Hooray!! Please email artists directly during that time, or you can also email Becca at rebecca at comboplatebooking dot com. Last month Laura & Michael enjoyed attending the Southwest Regional Folk Alliance. Thanks to Dalis for a great conference. This month’s Friday Kitchen Concert volunteer was referred by last month’s volunteer. Thank you Nano for recommending October’s volunteer Hayden Karchmer. We can’t wait to hear Hayden’s songs! We would love for you to consider voting for our SXSW 2014 music panel proposal. We have titled it “Altruism In Music” and you can read all about it here. Thanks for your consideration. Voting ends on September 6th and anyone can vote! Matt The Electrician will be on the road for all of September. Check out his website for more information, we hope you can see him on the road. This month’s musician volunteer for the Friday Kitchen Concert is Nano Whitman. Thank you for volunteering Nano, we look forward to meeting you and hearing your songs. Matt The Electrician is releasing a new record this month, his CD release show in Austin is set for August 29 at Strange Brew. Hope to see you there! This month’s Friday Kitchen Concert volunteers are Zack Kibodeaux & Greg Essington. We first heard them at the Kerrville Folk Festival this spring where Zack was a New Folk finalist. Thanks guys for taking the time to volunteer! Happy July and thanks for visiting our web site. Please drop us a note on FaceBook or Twitter (clicks icons to the left), and let us know that you stopped here… that would make us so happy. We welcome suggestions on how to make this web site better and more interactive. We are excited for this month’s Friday Kitchen Concert volunteer – Grace London! We are pretty sure Grace will be our youngest volunteer to date – and she’s super talented. Check out her web site to hear her music and check out all of charitable good works. 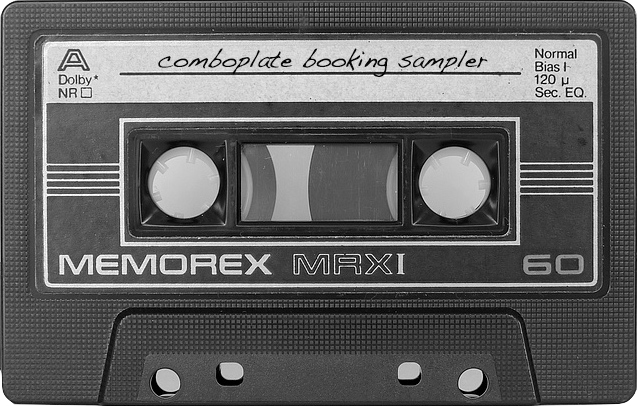 ComboPlate Booking artists LOVE playing house concerts. Please email Laura if you would be interested in hosting or learning more. We hope you’ve noticed the fancy updates to the bottom left of this box… our good friend Grace brought us up to date with the modern age, or at least to the modern version of WordPress, and you can now subscribe to our monthly newsletter from the little “subscribe here” box provided. You can also watch our tantalizing Twitter feed to the left, right here on our very own site. Fancy, huh? Thank you, Gracie! This month’s Caritas Friday Kitchen Concert volunteer is the fabulous Susan Gibson. We’ve been trying to work it out for awhile and it’s finally happening. We can’t wait. Be sure to “like” us on facebook and sign up to receive our updates in your timeline – each week we post where the roster is playing that week – it’s a great way to stay in touch. Also the first of each month, we have a link to our monthly newsletter if you are not already receiving it. You can click on the link and read it online. There’s also a link to subscribe. Please feel free to share with friends! Word on the street is that Matt The Electrician and Moonlight Towers are both working on new records. Stay tuned for more information on release dates. This month’s Friday Kitchen Concert volunteer is Cheryl Murdock. We can’t wait to have her come and play for everyone at Caritas! With gratitude, we are happy to announce that we raised over $3000+ for the Community Kitchen & Food Services programs at Caritas of Austin. We could never do it without everyone’s support and generosity – thank YOU! We are happy to announce that David Vella will be this month’s musical volunteer at Caritas. Thanks to Heather & David for finding us! @ Gueros Taco Bar, 1412 S Congress Ave.
Don’t forget – you can make a donation to our annual fundraiser for Caritas online as well: www.firstgiving.com/southbysoupfest. Having the online page allows us to double our efforts so thank you everyone who donates online! We also want to take the time to thank all of the local businesses who have donated the raffle prizes this year: Gueros Taco Bar, Opal Divine’s, Hoboken Pie, Satellite Bistro, House Wine, Contigo, The Soup Peddler, Once Over Coffee Bar, East Side Pies, Whip In, Old Soul Coffee Co, Frank, Johnson’s Backyard Garden.… and more to come. February once again means FOLK – and this year in Toronto! Laura & 5 artists from the roster – Michael Fracasso, Matt The Electrician, AJ Roach, Nels Andrews, Birds Of Chicago – will be attending the 25th anniversary Folk Alliance International Conference. Each artist has an official showcase and multiple private showcases. Please come to our private showcase room and email us if you need information on any one artist. Reed Turner is our volunteer musician for the Friday Kitchen Concert @ Caritas of Austin. Thanks Reed for volunteering! Happy New Year! Laura is back from vacation and looking forward to the already busy 2013. We are excited to announce that Charlie Faye will be the musical volunteer for this month’s Kitchen Concert at Caritas. She’s been busy making a new record, thanks for taking time to volunteer Charlie!